U.S. Air Force. Via Francillon (1979). Kawanishi N1K1-Ja Shiden ("Violet Lightning") "George"
Dimensions 39'5" by 29'2" by 13'4"
Variants The N1K1 Kyofo ("Mighty Wind") "Rex" was the original float plane model. It saw very little operational use. 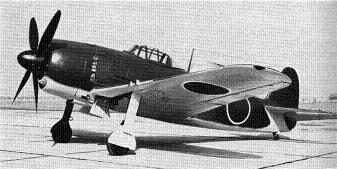 The N1K1-J was armed with two 7.7mm Type 97 machine guns in addition to the wing cannon, but carried fewer rounds per gun. Most later models could carry two 250 kg (551 lb) bombs. 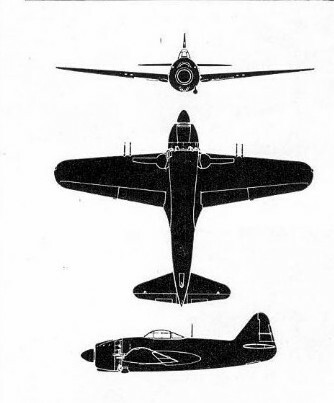 The N1K1-Jc and N1K2-Ja could carry four 250 kg (551 lb) bombs. The N1K2-J was a significant redesign that eliminated the long landing gear by moving the wings to the bottom of the fuselage.The aircraft was much simpler to construct, taking half the time of the N1K1-J. 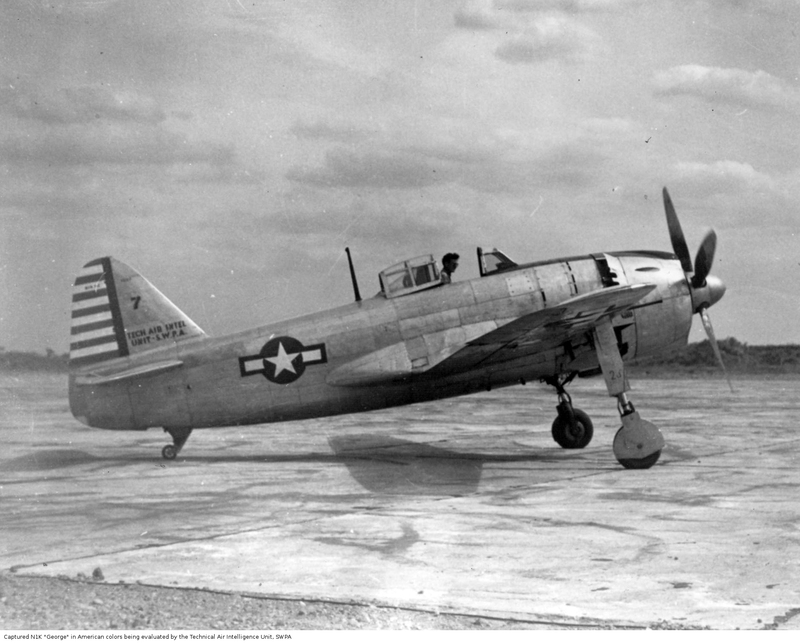 The N1K2-K was a two-seat trainer version. 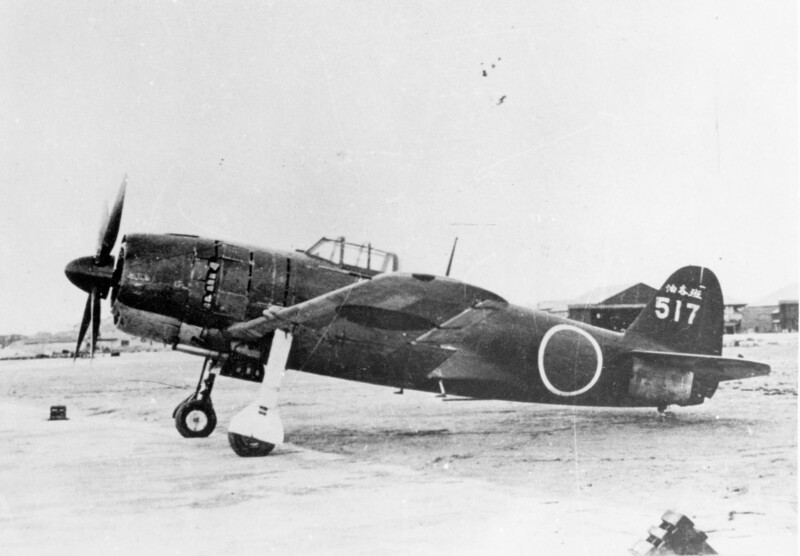 Possibly the finest Japanese naval fighter of the war, "George" originated as a float plane, the N1K1, which somewhat resembled the A6M2-N Rufe. The N1K1's powerful engine torque required a great deal from the pilot during takeoff, but the design was otherwise sound, and the decision to cancel production after only 89 aircraft were produced reflected changes in aircraft priority rather than any dissatisfaction with the design. In December 1941 the design team proposed that the float plane be reengineered as a land-based fighter, based on predictions of its likely performance, and Kawanishi proceeded with this as a private venture. The floats were replaced with landing gear and the original Kasei engine was replaced with a more powerful Homare. The new engine required a large four-bladed propeller, but rather than lower the mid-level wings of the seaplane design to get the necessary ground clearance, the design team gave the new aircraft long landing gear with complicated retraction mechanisms. The prototype made its first flight on 27 December 1942, and the aircraft showed excellent maneuverability and pleasant handling. However, both the engine and the landing gear proved problematic and the cockpit suffered from poor landing visibility. 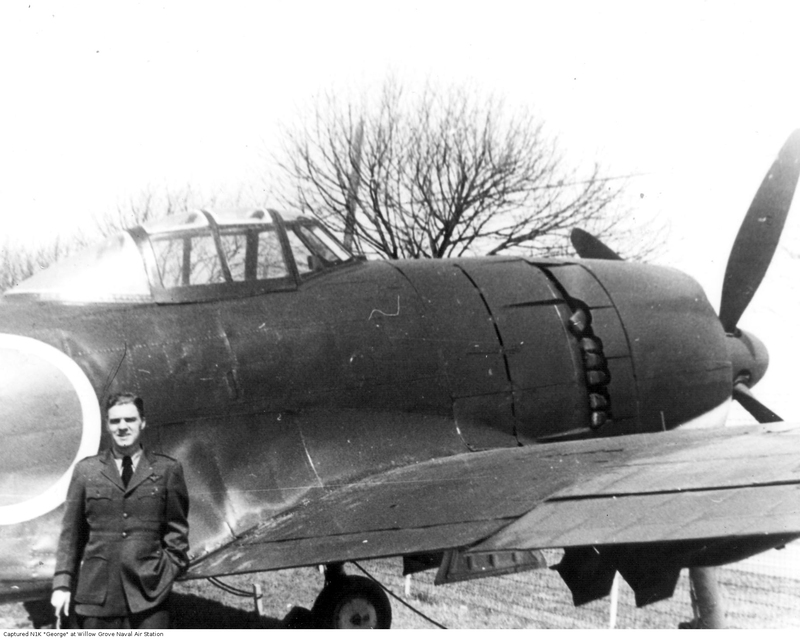 Nevertheless, the Navy was sufficiently impressed to order further development, and the modified design was rushed into production by the end of 1943 to meet the challenge of the Corsair and Hellcat. The N1K1-J was seen as a stopgap, and design work continued on the N1K2-J, which went into production in June 1944. The most important design change in the N1K2-J was the lowering of the wings to simplify the landing gear. The airframe under the skin was also simplified. 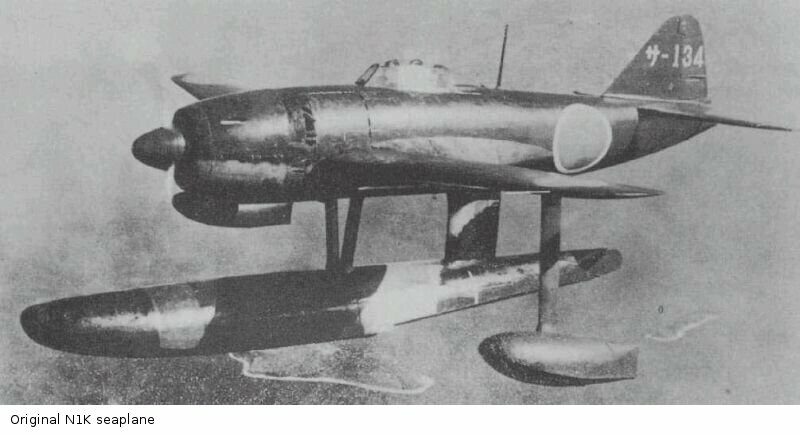 The result was an aircraft that was much easier to produce than the N1K1-J, and the Japanese Navy ordered the aircraft produced in large numbers at no less than eight factories. 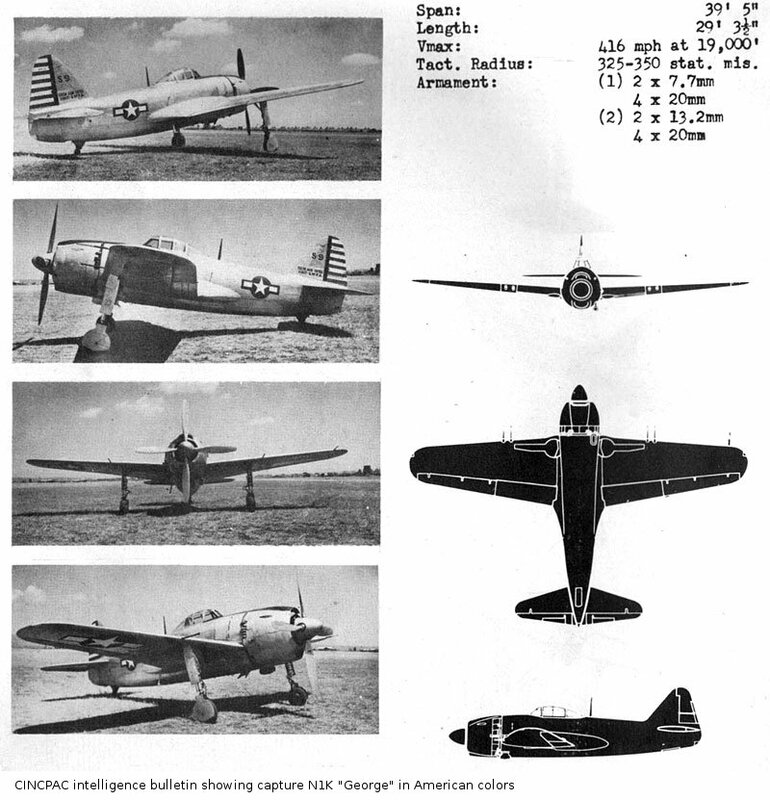 However, the U.S. strategic bombing campaign badly disrupted production, and it also prevented improved versions of the N1K2-J from entering combat before the surrender. 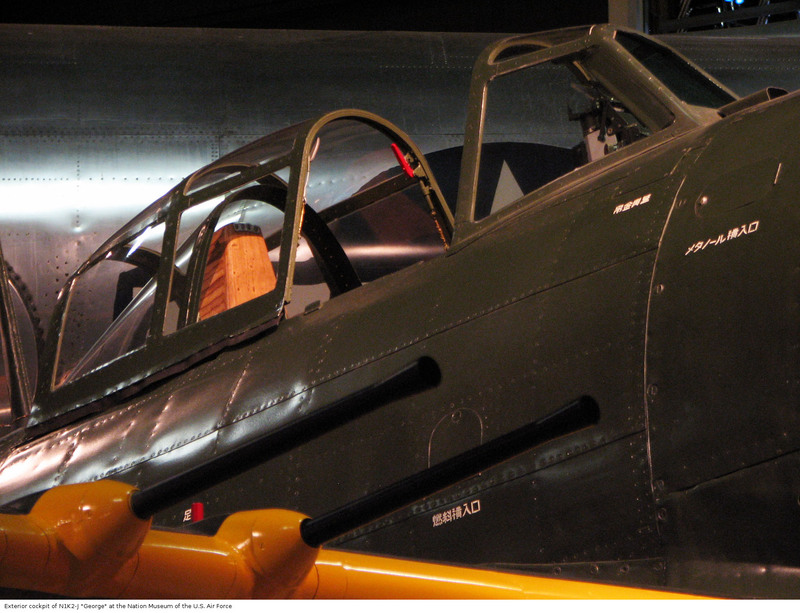 Both the N1K1-J and N1K2-J were also produced in ground attack versions fitted with bomb racks. 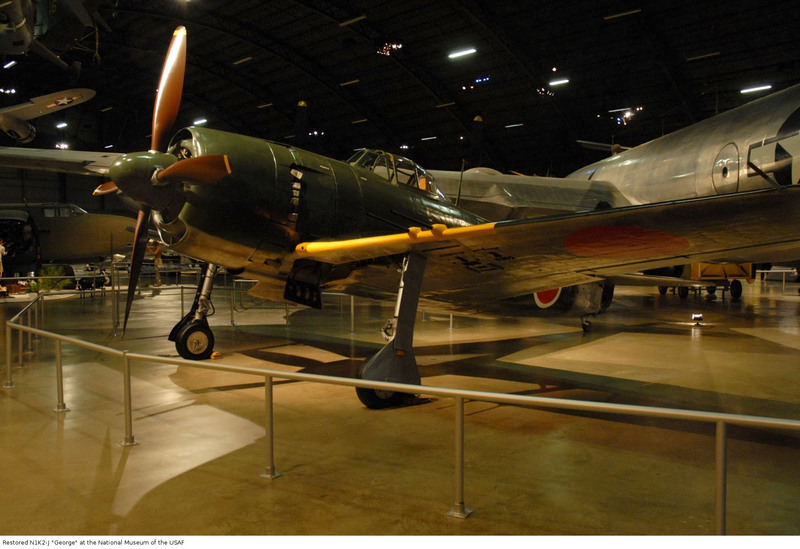 These rapidly became the standard Japanese Navy land-based fighter-bombers. "George" proved to be a balanced design, with adequate firepower and protection and astonishing maneuverability.The latter came in part from automatic combat flaps worked by mercury U-tubes. It was a match for any fighter in the Allied arsenal. 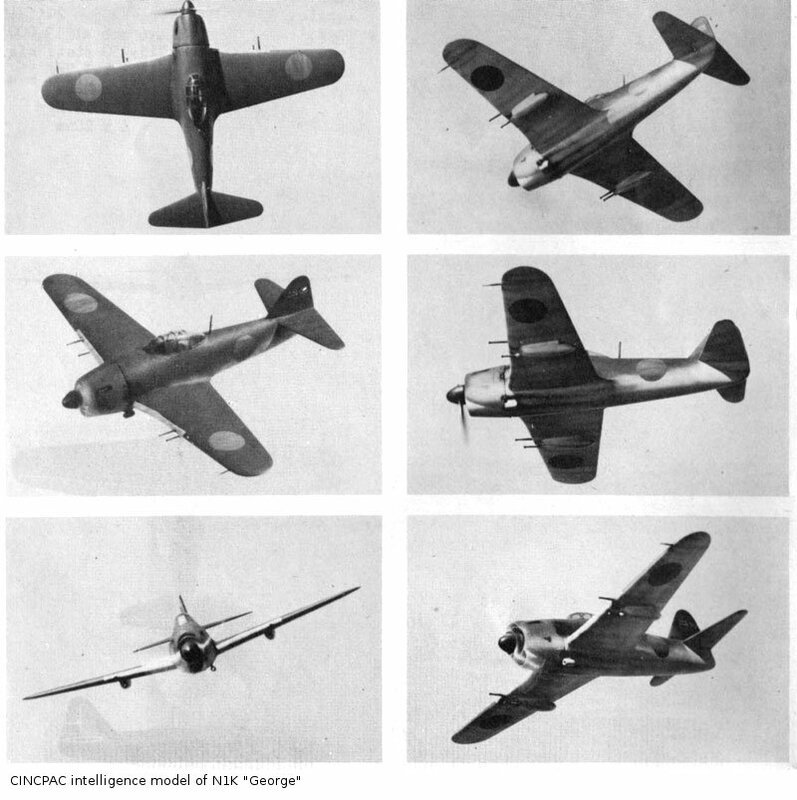 In the hands of the veteran 343 Air Group, it scored well against Marine carrier-based Corsairs on 19 March 1945. 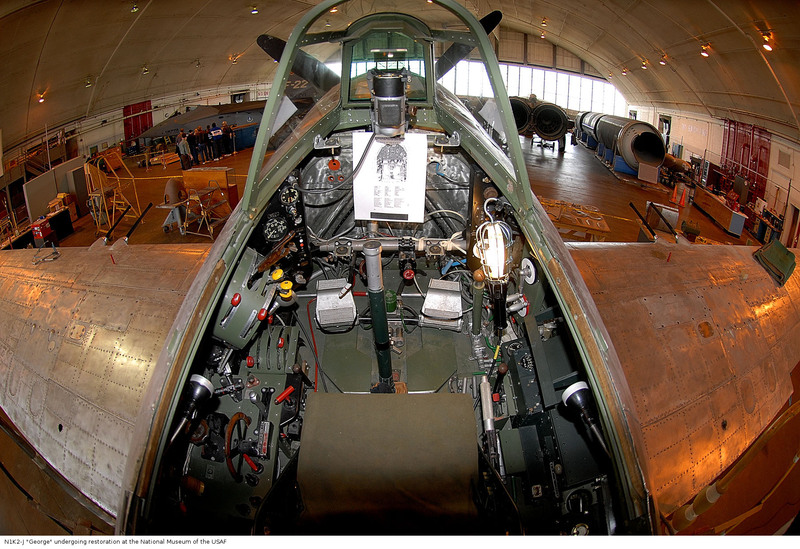 Unfortunately, "George" lacked the climb rate and high-altitude performance required to successfully intercept the B-29, and the aircraft asked too much of the poorly-trained pilots available by the time it was in production. It also used a sophisticated engine whose production pushed the limits of Japanese industry, so that the engine proved quite mechanically unreliable. It did not help that, by this point in the war, the pilots were being asked to use 85-octane gasoline that included corrosive pine oil.